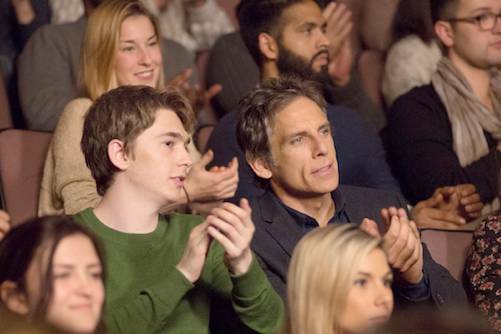 Brad’s Status (2017) REVIEW – Ben Stiller’s Finest Hour? Austin Abrams (left) stars as “Troy” and Ben Stiller (right) stars as “Brad” in director Mike White’s BRAD’S STATUS, an Amazon Studios release. Credit : Jonathan Wenk / Amazon Studios. As a middle-aged man questioning his place in life, actor Ben Stiller delivers what may be the finest performance of his career in Brad’s Status. Written and directed by Mike White, the film stars Ben Stiller, Austin Abrams, Michael Sheen, Luke Wilson, Jemaine Clement, and Jenna Fischer. Brad Sloan (Stiller) is leading an average life as he heads to Boston with his son, Troy (Abrams), a musician who wants to study at Harvard. He lives at home with his wife, Melanie (Fischer), in Sacramento but he worries about how they’ll be able to finance Troy’s college education with the first choice being Harvard. Brad’s life isn’t what he thought it would be after graduating from Tufts University. His college buddies, TV pundit/author Craig (Sheen), hedge-fund founder Jason (Wilson), retired entrepreneur Billy (Clement), and Hollywood big-shot Nate (White), are in a successful place in their careers so much that one can’t help but think that Brad is jealous and envious of their lives while he’s living at a level lower on the food chain. Brad operates a non-profit that helps other non-profits with their social media and utilizing social media platforms to raise money. While the trip to Boston sounds like a good idea at first, Brad starts to veer in the direction of a mid-life crisis as he meets some of Troy’s friends. After a Harvard interview goes wrong, Brad reaches out to his college buddies for the first time in a while in order to get Craig’s number and the two end meet up for dinner when all is said and done. As we learn throughout the film, Brad’s buddies aren’t as well off as he thinks they are. 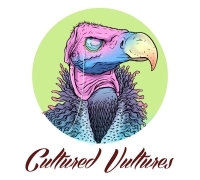 Between all of the interviews and tours, Brad can’t stop thinking about Troy’s future career but in doing so, he starts to get envious of his son by having some dark thoughts and is absolutely horrified by what he sees happening in the future. There’s even a cameo by Jimmy Kimmel as he interviews Troy. While Troy is interviewed, Brad gets a call from Jason and even with what little screen time Wilson gets, the character is fully realized and one starts to feel more empathy for him. While he’s notable for his comedic roles, Ben Stiller has shown that he can take on serious roles such as in Greenberg and The Secret Life of Walter Mitty. Brad’s Status is no exception. Whether or not you care about Brad Sloan as a character, Stiller delivers as fine of a performance as I’ve seen from him. Everyone worries about how they are seen compared to their friends and it’s nice this aspect is shown on screen. Sheen more than makes up for his performance in the recently released Home Again. His character is a former press secretary and even though his role isn’t big enough, one would like to see more of him–maybe even in a spin-off film. With Craig being a former press secretary and bestselling author, a film could certainly be fascinating to watch if done the right way. This film is vastly different from Beatriz at Dinner, also written by White and released this past summer. While that film takes the point-of-view from a middle-class female and her feelings towards the wealthy, Brad’s Status looks at it from the male perspective with satire and compassion. Brad isn’t the most likable person and is the type of guy who might get called out for his privilege. People may not relate to him but the chemistry alone between Stiller and Abrams makes the the pic worth it. Distributed by Amazon Studios and Annapurna Pictures, Brad’s Status opens in New York and Los Angeles on September 15th before expanding into more locations starting on September 22nd.